Astronomy Now - Hubble’s BUFFALO project looks back at the big picture | Astro What? The Hubble Space Telescope has started a new project to characterise the galactic environment of the very early universe, capturing stunning wide-angle views of previously observed galaxy clusters to help astronomers better understand the distribution of galaxies in the early universe and the conditions that led to their formation. The new wide-angle view of Abell 370, some 4 billion light years from Earth, is one of the first in the new Beyond Ultra-deep Frontier Fields and Legacy Observations, or BUFFALO, survey led by astronomers at the Niels Bohr Institute in Denmark and Durham University in the UK. The survey includes surrounding areas initially mapped by NASA’s Spitzer Space Telescope as part of the Frontier Fields project. The new BUFFALO survey of Abell 370 provides a much wider-angle view than Hubble obtained in the Frontier Fields program (seen here outlined in red). Image: NASA, ESA, A. Koekemoer, M. Jauzac, C. Steinhardt, the BUFFALO team and HST Frontier Fields. 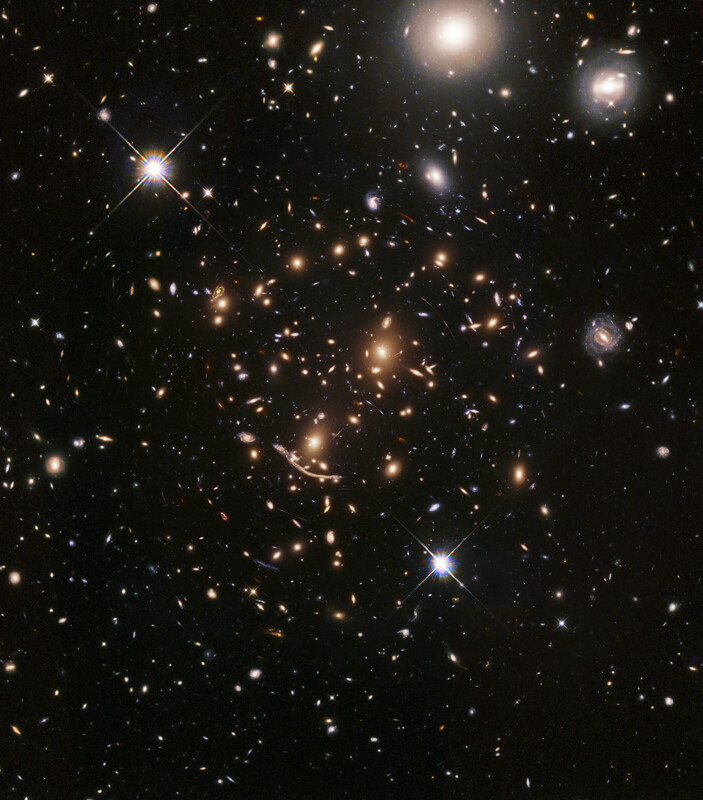 To collect the faint light from the most remote galaxies, Hubble is devoting 160 hours to exploring the six galaxy clusters first studied in the Frontier Fields project, which Hubble and Spitzer carried out between 2013 and 2017.